WENTZVILLE, Mo. (BP)—Video games—with their reputation for violence, sexual content and profanity—are probably not the first thought in anyone’s mind when it comes to evangelistic outreach. Joshua, 19, and Daniel, 16, use Twitch—an online platform for players to stream their games for people to watch around the world—as their vehicle of outreach. 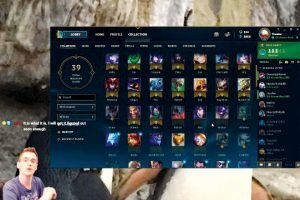 Viewers can watch in real time as the Greenings play their games, and Twitch also offers a chat function so that viewers can talk to the streamers and to each other. And for anyone who might be led to their channel, it’s quickly obvious that it is Christ-focused. The name of the channel itself—TheWay_TV—is a reference to John 14:6—the favorite Bible verse of Joshua and Daniel’s grandfather, Ken Greening. Greening and his wife Mary Sue ran a youth center in the 1970s also called The Way. That center is no more, but it lives on through Joshua and Daniel’s outreach. On their channel’s main page is a section where the Greenings explain who they are and the purpose of their channel, and where they proclaim their faith. For them, Twitch is an untapped mission field and they are the missionaries. Viewers and other streamers appreciate that the brothers are passionate and open about their faith. “They love that we are what they call ‘surprisingly upbeat’ and positive,” Joshua said. When one of their regular viewers says in the chat they’re going through a hard time, Joshua and Daniel will pause the game to pray for them. Joshua and Daniel’s approach to their channel has paid off. They first started streaming in March of this year and have grown to nearly 300 followers and gaining every day. For Joshua and Daniel’s parents, Becky and Jim Greening, this experience has been amazing to see. 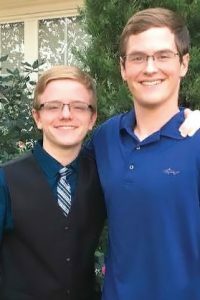 Joshua and Daniel stream several hours a day on their channel, but when they’re not streaming they are active in their home church, Wentzville , Mo., First, located in a St. Louis suburb. They take Kenpo Karate through their church and work with their youth group. View more articles by Katelyin Goodwin.